How many times have you been craving pizza but didn't have any time to make a pizza dough from scratch so you ended up ordering some? 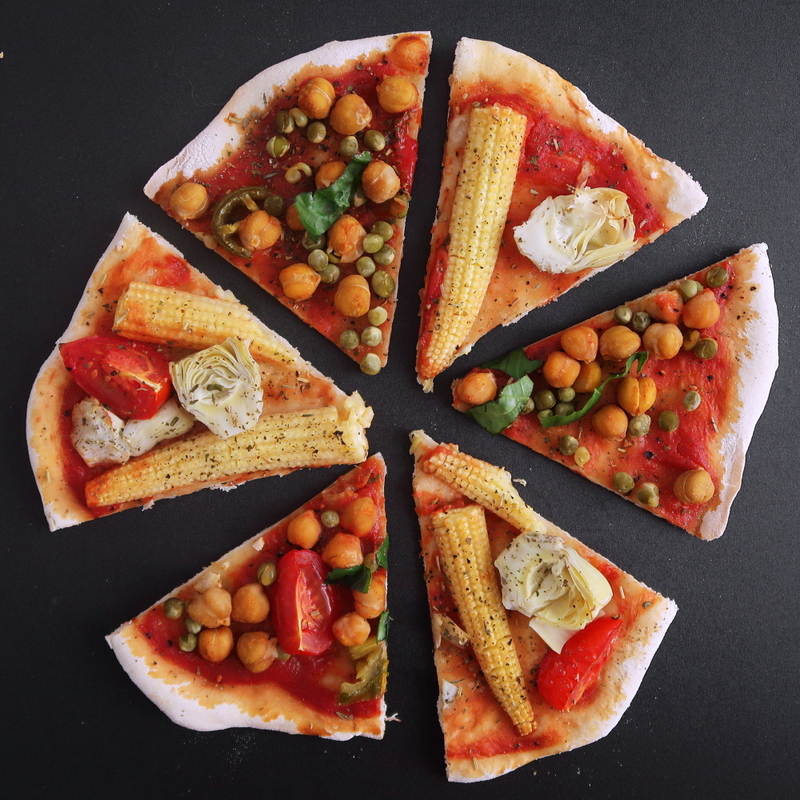 With this vegan pizza dough hack you'll be able to prepare a homemade vegan pizza dough in no time and make yourself a delicious pizza whenever you feel like it! 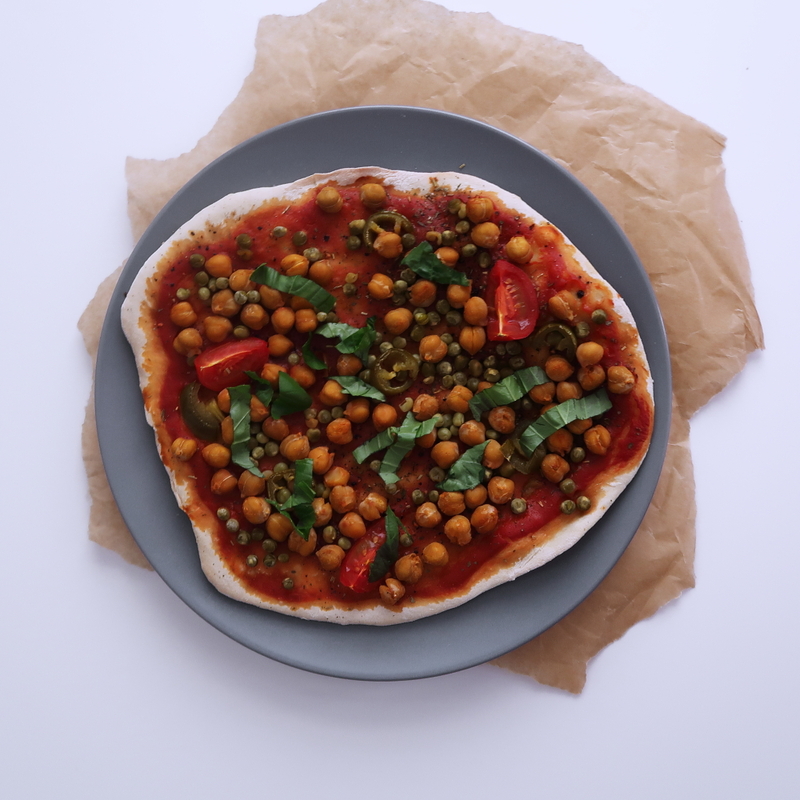 This vegan pizza dough is so simple to make, it only takes 20 minutes from getting out the ingredients to enjoying a delicious pizza. That's because we're using baking powder instead of yeast, so we don't have to wait for the dough to rise. While I do love a good traditional pizza dough made with water, flour and yeast, I just don't always have the time to let the dough rise. Or I don't want to plan in the morning what I want to eat for dinner so I can make the pizza dough ahead. 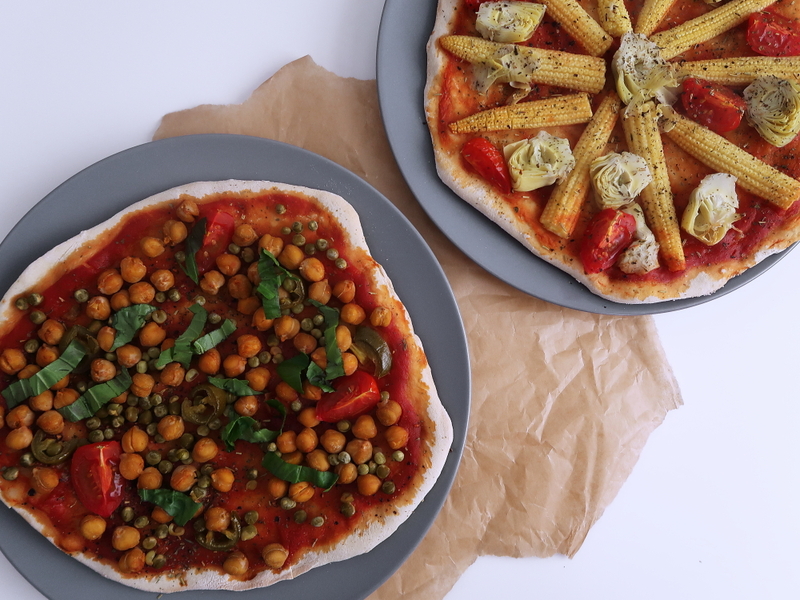 That's why I came up with this vegan pizza dough hack which is perfect for spontaneous pizza cravings! 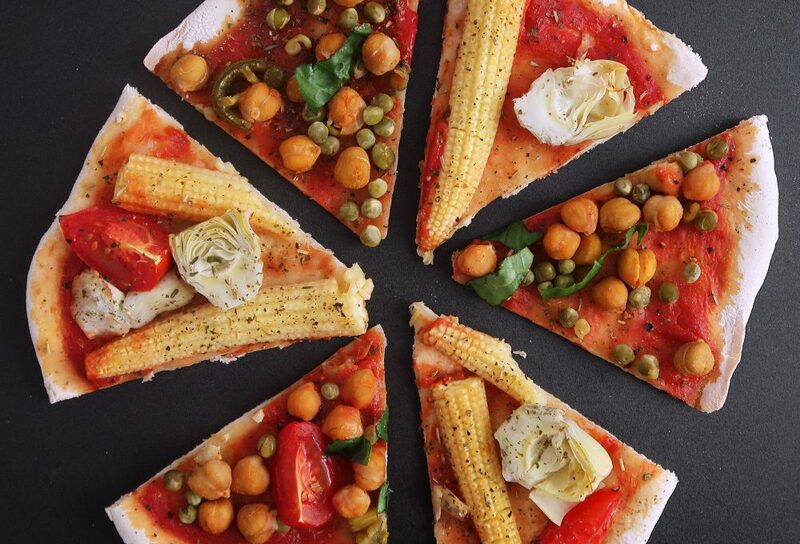 To make this vegan pizza dough, you only need 4 ingredients: soy milk, lemon juice, baking powder and obviously flour. 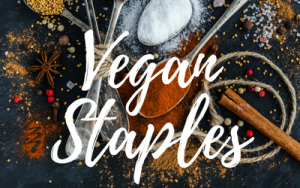 We will use the soy milk and lemon juice to make a vegan buttermilk. The baking powder serves as a yeast replacement. I do have to say that you won't get the same thickness and fluffiness that you would get if you were using yeast, but I was pretty happy with the result and even got some small bubbles in my pizza crust. 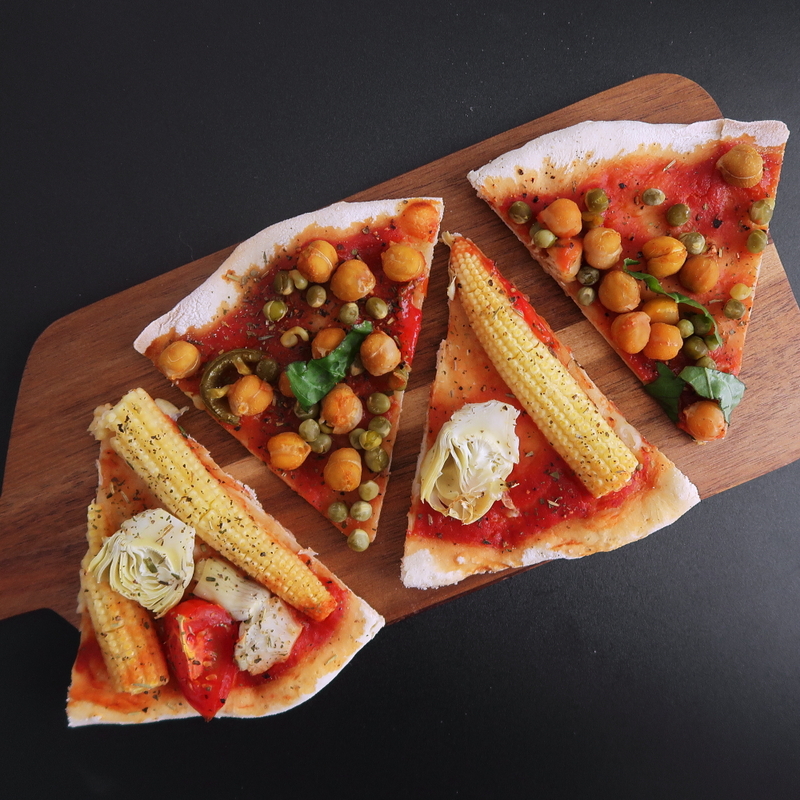 And if you love a thin and crispy pizza crust, this vegan pizza dough hack is just perfect for you. 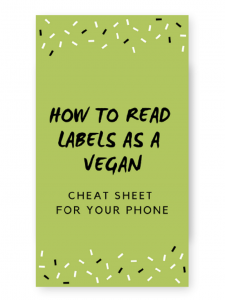 As for the soy milk, you could also sub that with any other plant-based milk that isn't sweetened. Soy milk however works best for making vegan buttermilk. This is because - amongst all plant-based milk alternatives - soy milk has the highest amount of protein. When you add the acidic lemon juice, it reacts with the protein in the milk which causes the curdling and creates the buttermilk. The secret to baking your pizza and getting a thin and crispy crust is to really crank up the oven temperature. I usually bake mine at about 230°C (450°F) which is a little below the highest setting my oven can go. Also, the oven needs to be well preheated before you bake your pizza. Preheat your oven to 230°C (450°F). Combine the soy milk and lemon juice in a large mixing bowl. Let sit for 2-3 minutes until the soy milk starts curdling. Mix the baking powder and flour and add to the wet ingredients. Knead the dough (with an electric mixer or using your hands) for a couple of minutes. Divide the dough into two balls and press each ball down with the palm of your hand to form a disc. Using your fingers or a rolling pin/glass, roll out the pizza dough, leaving the edges slightly thicker. 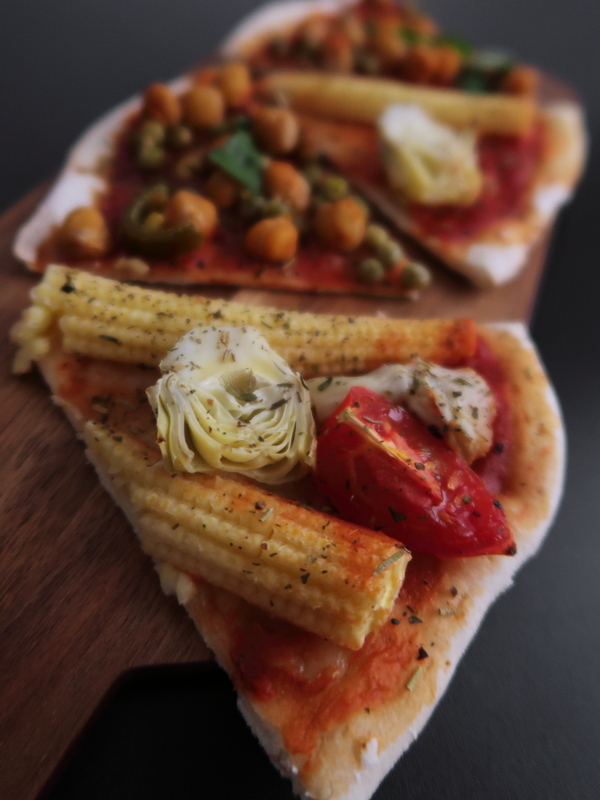 Spread a layer of tomato puree on each pizza base. Add italian herbs/seasoning and any toppings you like. Bake the pizzas in the oven for 15 minutes. You could also use another plant-based milk, but soy milk works best to make vegan buttermilk because it has a high amount of protein.